The address is 8649 M-113, Fife Lake, MI 49633. 2015 was the final year for the track. Roger Steig sold the speedway to a neighbor of the place in hopes to carry on the facility. The track was closed at the sale closing and will now be used for industrial purposes. As of 2016, cherry speedway is no more. The track has been sold, and new owners have bought it with the sole intent of shutting it down. This track is now called Cherry Raceway, address is 8649 East M113 Fife lake MI 49633, phone number is 231/468/1477, website www. cherryraceway. com e-mail address is Icherryraceway@aol. com owners are Roger and Michelle Steig,. The Line Up For 2012 Includes: The 4cyl. Compacts, 4cyl. Warriors, Cherry Bombers, Super Streets, UMP MODIFIEDS, UMP Late Models. With 3 ASCS SPRINTS ON DIRT Dates, 2 Michigan Traditional Sprint Dates, Also Appearing Will Be The Mid Michigan Mini Sprints & Michigan Dirt Cup Modifieds & Michigan Dirt Cup Late Models. Complete Schedule Available On The Website. Cherry Raceway, Addres Is 8649 E. M-113 Fife Lake, MI. Web Site Is www. cherryraceway. com. will you be running pro trucks in 2011. Track Name Is Now CHERRY RACEWAY, Home Of Flyin Friday Nights New Owners & New Clay & Banking, Northern Michigans Fastest Dirt Track www. cherryraceway. com Is Web Address, Also On FaceBook, Racing Every Friday Nght May Through Sept. 231 468 1477, Is The New Phone #, Pit Gates Open @ 5pm, Grandstands 6pm, Racing Starts 715pm, Come Join Us For The Fastest Cars On The Fastest Track. Cherry Speedway is back. Friday night racing is back again with a full effort to make it great again maybe better than ever. 2010 opening race was rained out. Is this track open or closed? on May 25-2009. The track opened on December 9th, 1979. It has also operated as M-113 Speedway. Cherry Speedway is under new management for 2006. Goin Green Race Promotions (Alan Lardie) will oversee opperations at Cherry Speedway for the summer of 2006. For additional information contact: Alan Lardie Goin Green Race Promotions PO Box 13 Grawn, MI 49637 (231) 218-0558 E-Mail alardie@cherry-speedway. com website www. cherry-speedway. 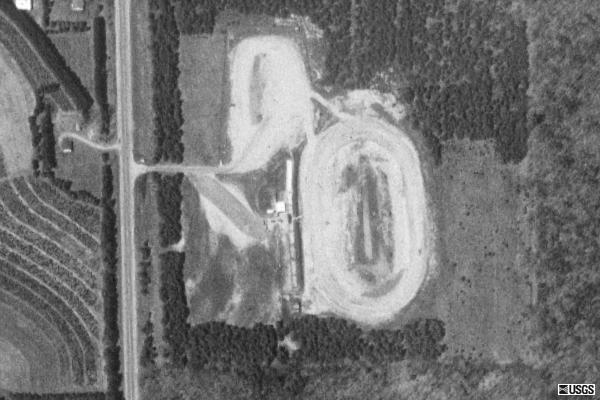 com Cherry Speedway is a 3/8 mile clay oval race track. Racing every Friday night starting May 5th through September 15th, 2006 Classes include: 4-cyl Compacts, Cruiser/Bombers, Super Street Stocks, Michigan Modifieds, Late Models and M. O. R.
A. Mini Outlaws. Grand stand gates open at 6:00 with racing begining at 7:15 General Admission - $10. 00 Adults, $7. 00 Seniors, $5. 00 ages 6-12, Free age 5 and under. Pit pass - $25. 00 all ages. Track name changed to M-113 Speedway and is now called Cherry Speedway.